Singer/songwriter Angela Hunte-Wisner is looking gorgeous in the studio, wearing our maxi dress! 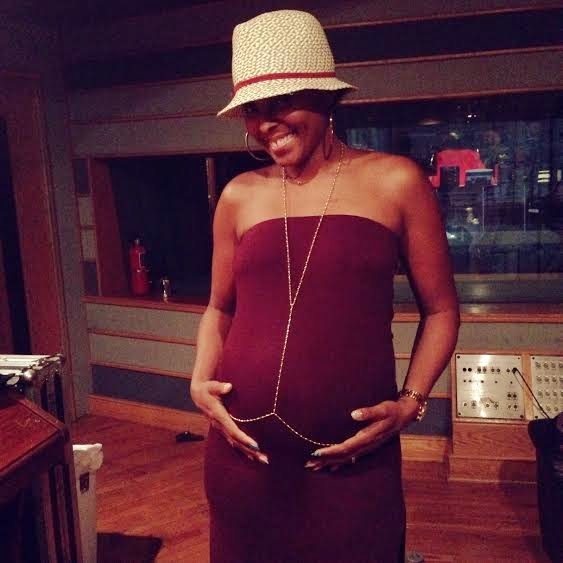 She and her baby bump are looking as beautiful as her voice sounds. Ambience is the place to go for celebrity photo ops!